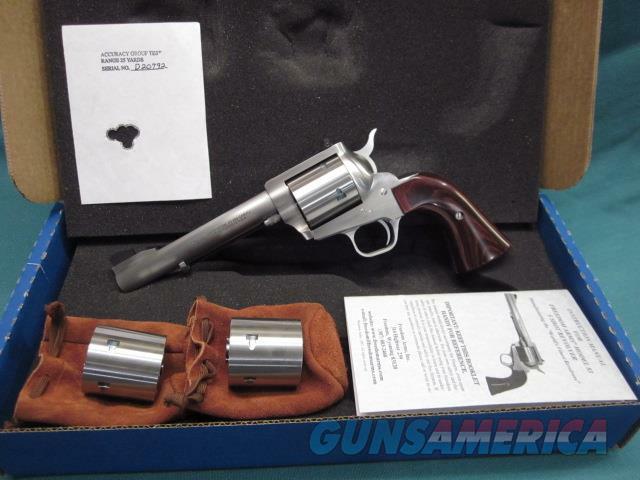 Description: Freedom Arms Model 83 Premier With 3 Cylinders, .454 Casull, .45LC, 45ACP. 6" barrel , winewood grips, factory action job with 3lb. trigger.100% new in box with full factory warranty.ADD 3% for credit cards, shipping is 35.00,260 409 9828.